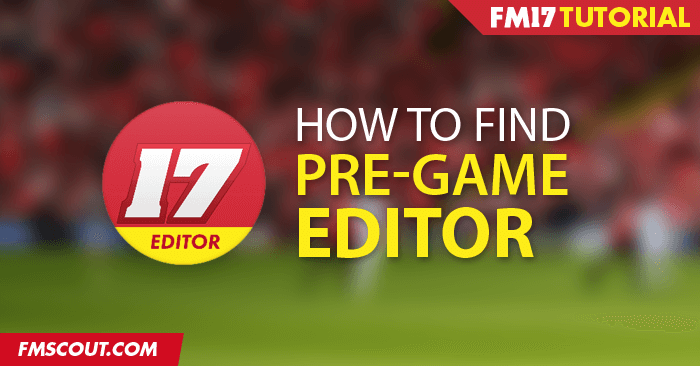 The FM 2017 Editor also known as the FM17 pre-game data editor is a powerful editing tool that allows the user to modify the Football Manager 2017 database. It is available for free as a separate download for anyone who has bought FM17 through Steam library under tools. Step 1: To find and download the pre-game editor for Football Manager 2017, you'll need to log into the Steam desktop app first. Step 2: On the top-left menu (Store/Library/Community/User), go on Library. Step 3: Select "Tools", the second to last option on this sub menu. Step 4: You will now see a number of titles, just scroll down to Football Manager 2017 Editor, right click on it and finally select install. The download will now proceed, and you'll be able to use it. The initial run may require to install direct X files. For optimal performance it is recommended that you use the FM 2017 Editor on a high-end machine with at least 2GB RAM or more. Due to massive amount of data stored in the Football Manager 2017 database you may experience poor or slow performance on low-end systems. One of the most requested features this year in the Pre-Game Editor was a change to how competition boundaries are set. As a result, it’s now possible to use local regions, so you can confine your competitions to regional groups or even limit them to particular cities. Also included a more detailed explanation of the different editor options and how they’re used, which should make the whole experience of using the editor much easier for new and existing users and allow everyone to benefit fully from the Editor’s full power. For those who like to create entirely new teams, SI added an option to create random kits. It’s even possible to ‘group select’ clubs and randomise all of their kits at once. Doing this ensures that all of the selected clubs will have different coloured kits with different styles. Also added an ‘undo’ feature, meaning that changes to competition rules can be undone by using a slider to determine how many you’d like to revert, while database changes are now grouped into a single place where they can be removed individually or all at once. And there are plenty more changes too, including the ability to add non-player future transfers to the editor, add dates/season into the top goalscorer record for competitions, there are new custom filters, you can change domestic competition colours, there are some new basic rules (such as third-place play-off functionality) and the computer can even help fill in a player’s missing stats by being able to choose his role. Handcrafted in Symi, Hellas. Page created in 0.128 seconds.